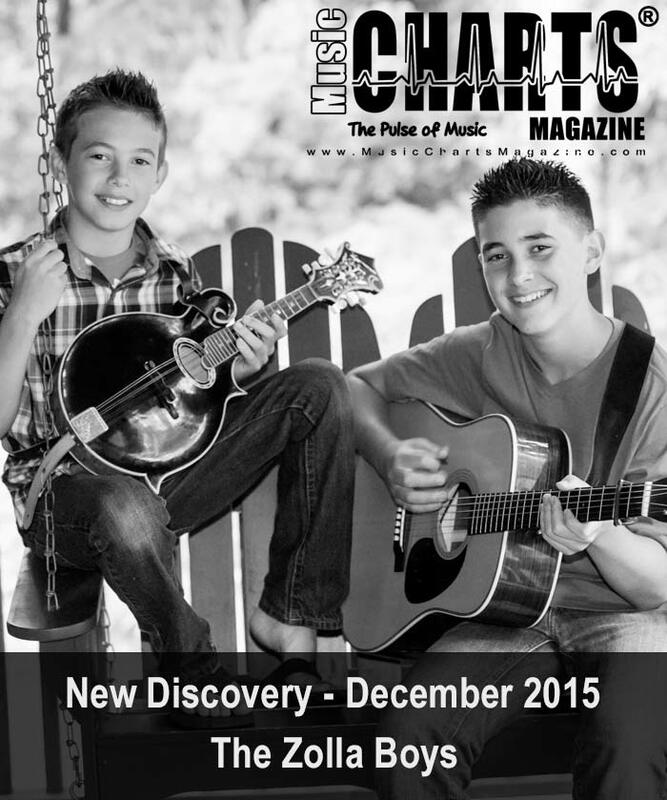 Music Charts Magazine® Presents – “NEW DISCOVERY” – “The Zolla Boys“- for the month of December 2015. Check out this Music Charts Magazine® “NEW DISCOVERY” Interview with “The Zolla Boys” and be prepared to be excited knowing there is still 100% awesome music out there that you still have not heard. After you listen to this great radio interview pasted below of “The Zolla Boys” we are sure you will be glad you found this “New Discovery” and their song “The Boxer” to add to your music playlist. We stumbled on this music gem by a friend sharing one of their videos covering the song “I Heard The Bluebird Sing” on Facebook. The video was close to 3 million plays. A few days later Music Charts Magazine’s Big Al Weekley sits down with “The Zolla Boys” to find out who they are, what they are about and what they are doing. Of course Music Charts Magazine’s team searches through dozens of music artist(s) every single day on various social networks as well as sift through the many emails we receive from artist(s) wanting to get their music noticed. Out of all these artist(s) there is only one chosen to fill the monthly New Discovery slot. This December 2015 “The Zolla Boys” are that chosen music group. Listen to this interview with The Zolla Boys and their song The Boxer at the end of the interview. The Zolla Boys are young & talented with many years of making great music to come. Ask your radio station to hear The Zolla Boys song “The Boxer”. – It’s a great tune! Who are The Zolla Boys? The Zolla Boys are a family bluegrass band from Torrington, Connecticut. The band consists of 14 and 15 years-old brothers Sam and Ben on mandolin and guitar, and their father Larry playing bass. 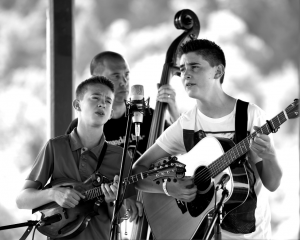 On-line lessons, late night festival jams, and instruction from their dad have all helped in developing the Boys’ signature sound, and they are proud to be a part of the fabulous bluegrass community. The Zolla Boys have played many different venues and festivals, including Joe Val, Strawberry Park, Jenny Brook, Grey Fox, Podunk and Blistered Fingers. Ben has been playing guitar and singing with Sam since 2012. He considers the Louvin and Stanley Brothers his biggest influences, but enjoys contemporary groups such as the Gibson Brothers, Boxcars, Blue Highway, and the Steep Canyon Rangers. Bryan Sutton and Tony Rice are two of his favorite lead guitar players, and he received his first flat-picking lessons from Bryan, while enrolled as a student in the Artistworks on-line music academy. Ben also shares his father’s love of “great food”, and spends a good amount of time in the kitchen. Sam started on-line mandolin lessons at Artistworks Academy of Bluegrass, learning his first chops from the legendary Mike Marshall. He has since been influenced by Adam Steffey, Jesse Brock, Frank Solivan, and Chris Thile. He shares Ben’s passion for traditional brother duets, and continues to discover awesome Louvin Brothers songs to work on. When not practicing mandolin, he spends his time at USA Gymnastics in Watertown, Ct, where he competes as a Level 8 Junior Olympic gymnast. Radio interested in how to obtain The Zolla Boys music please contact us on our contact page and we will be glad to get it to your radio station for radio play. Many thanks to those of you who have already played it.